Houston-based metal building accessories designer and manufacturer Metallic Products received Texas Department of Insurance (TDI) approval for their continuous and low-profile ridge ventilators, flat and die-formed skirts. Developed to circulate air and provide ample ventilation for metal buildings, both the 9-inch- and 12-inch-throat Continuous Ridge Ventilator, and the Ridgeline Low-Profile Ventilator, were wind uplift tested according to the ASTM E330/E330M-14 test method. The test evaluates structural performance based on uniform static air pressure difference. The products were thoroughly evaluated and reached compliance with wind loads specified in both the International Residential Code (IRC) and the International Building Code (IBC). Metallic Products is committed to developing ventilation systems and accessories that hold up in the event of windstorms and extreme weather common to Texas, Coy Poret, the company’s president, said. 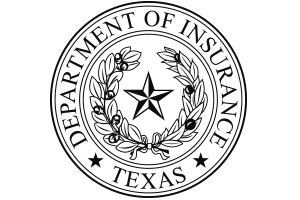 For more information about the test standards, or to review the evaluation report, visit the TDI windstorm website at tdi.texas.gov/wind/prod/indexrv.html.